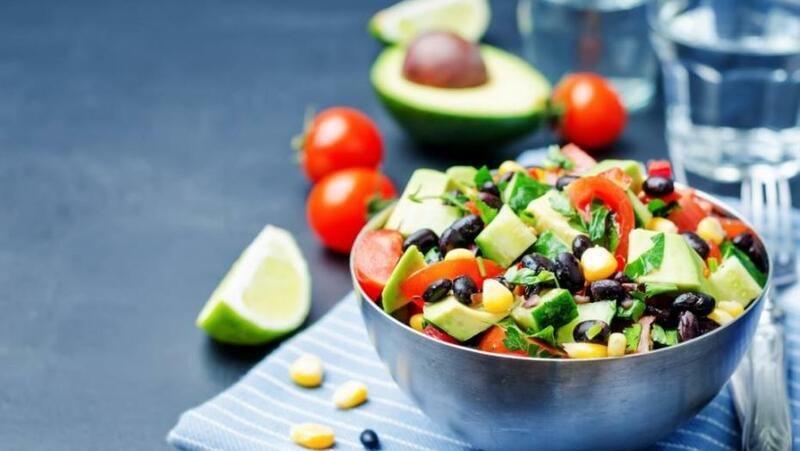 Celebrate this Cinco De Mayo with healthy food from south of the border like Black Bean Salsa! Cinco de Mayo (Fifth of May) commemorates Mexico's victory over the French army at the Battle of Puebla in 1862. Celebrate this occasion with healthy food from south of the border like Black Bean Salsa! Black beans are my favorite of all the beans and I think my favorite part about them is their color. You may think, "What's so special about the color black?" Well, for one, it's classic and timeless, and in food, it can add a nice contrast to really make other colors in any dish really pop. This dish I'm sharing today is the perfect example to illustrate how black beans can make a colorful addition to your menu. Find Rebecca's original recipe here, or discover more like this on her Twisted Nutrition blog. In a bowl, combine all the ingredients & toss. Serve immediately or allow to chill in the fridge for a few hours. If you're not a mango person, you could substitute pineapple or even peaches! Add in some fresh diced tomatoes, red, yellow, or orange bell peppers for even more flavor! You may even consider adding some silkiness and heart-healthy fat with avocado!